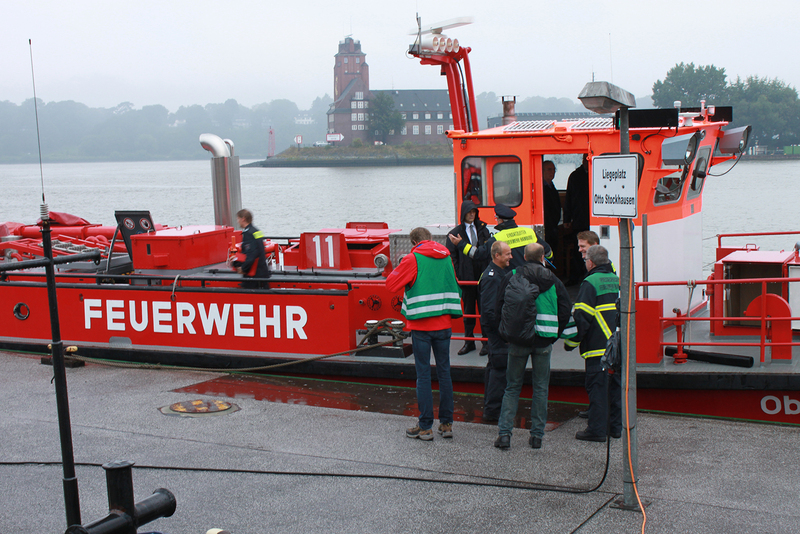 The second HAZARD exercise was held in Hamburg on 17th of September 2016. 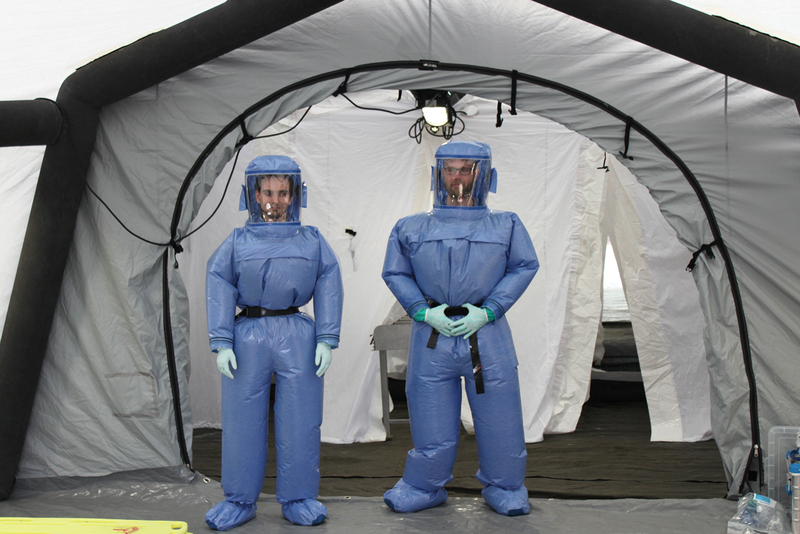 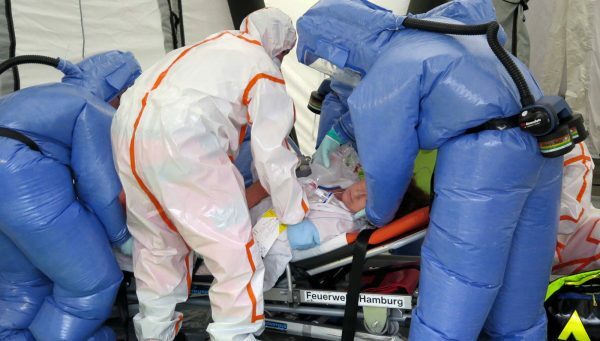 The exercise was a chemical spill response with decontamination of affected people. The exercise was organised by the Hamburg Fire and Rescue Services. 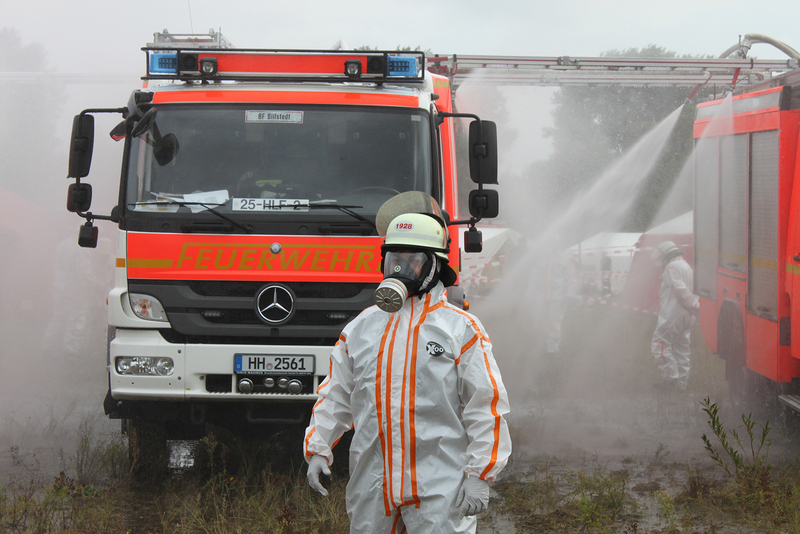 The Finnish and Lithuanian rescue service partners and the German partners were monitoring the exercise on site. 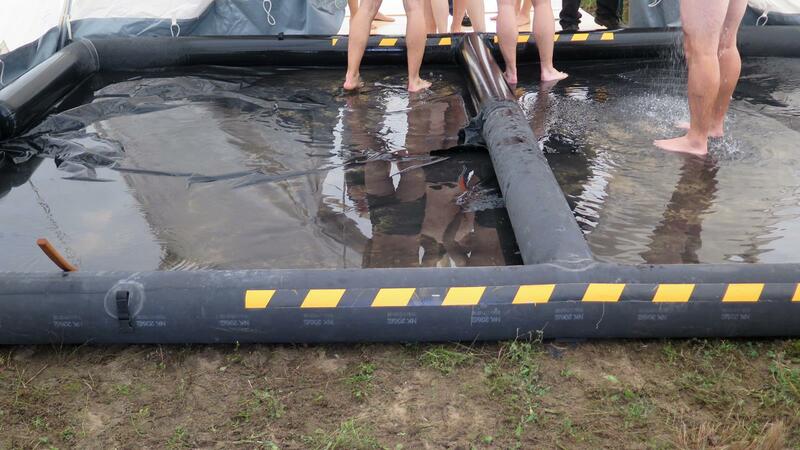 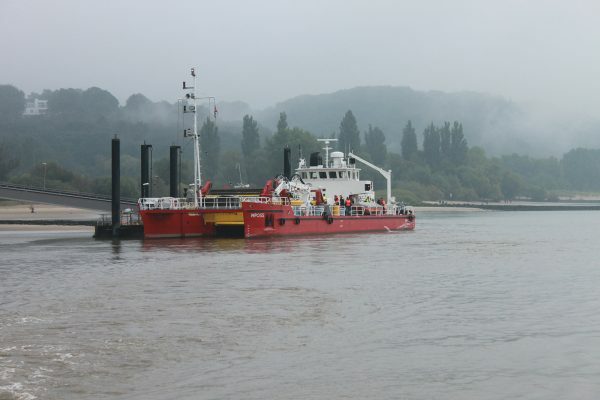 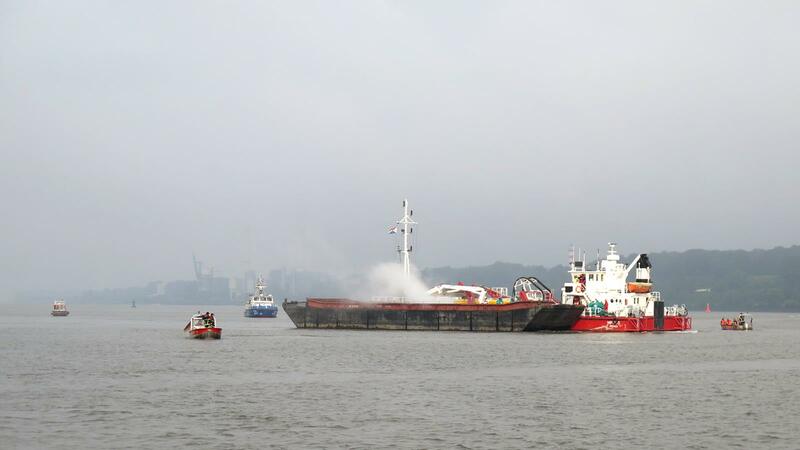 In the exercise scenario dredging work on the river bed of the river Elbe cause a gas leakage. 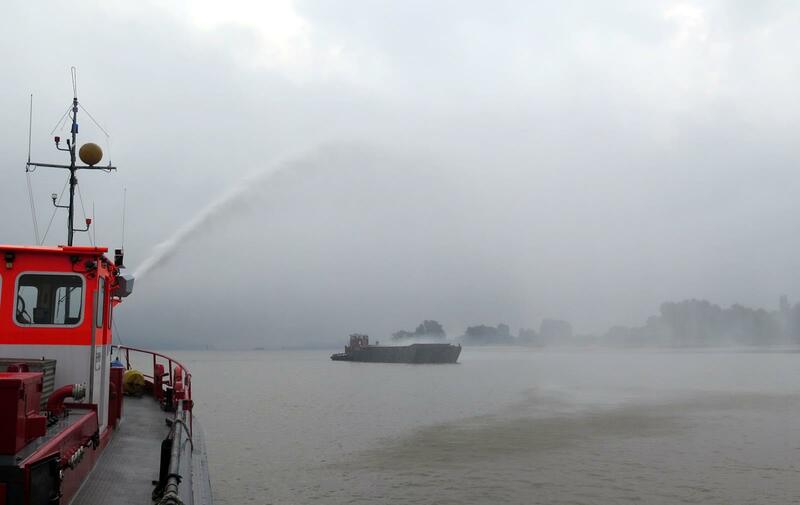 The gas escapes from a leaking barrel in the dredged material, and gases, which cause damage to human health, are released. Units of the Analytical Task Force (ATF) of the Hamburg Fire and Rescue Service identify the gas as cholorosulfonic, which is highly corrosive and generates harmful vapors when it comes to contact with water. The gas leak has to be sealed by joint efforts of the Ministry of Environment and Energy (BUE) and the Hamburg Fire Brigade. Units of the police support the operation on land and on the water by measurements, by taking samples and by providing experts. 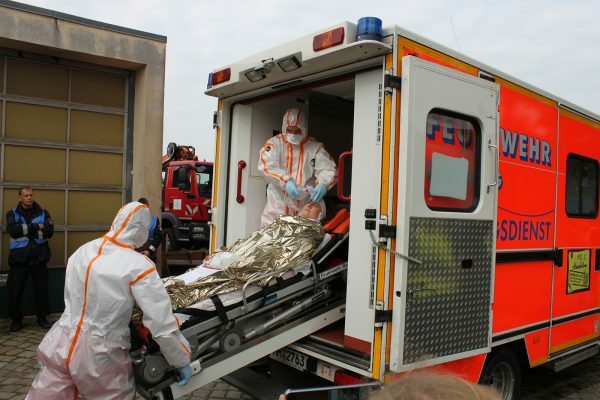 In the event of incident involving toxic gas release , which causes damage to human health, decontamination of a large number of people is required. 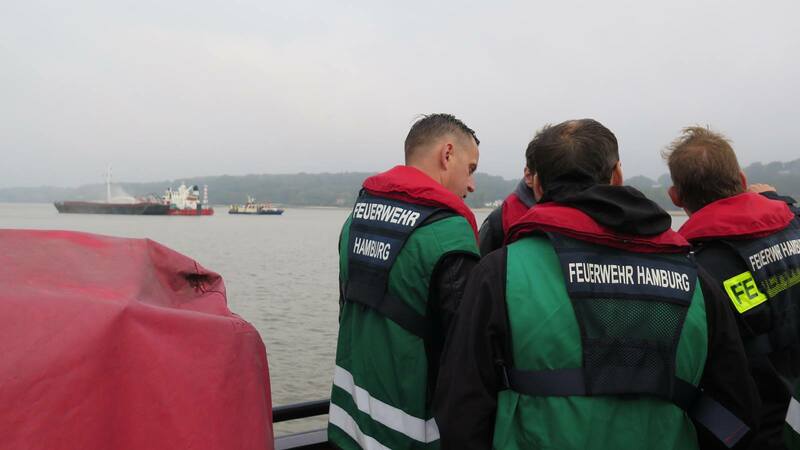 The objective of the exercise was to practise chemical spill response on the river Elbe, and also to practise decontamination- and CBRN-reconnaissance of the volunteer fire fighter units. 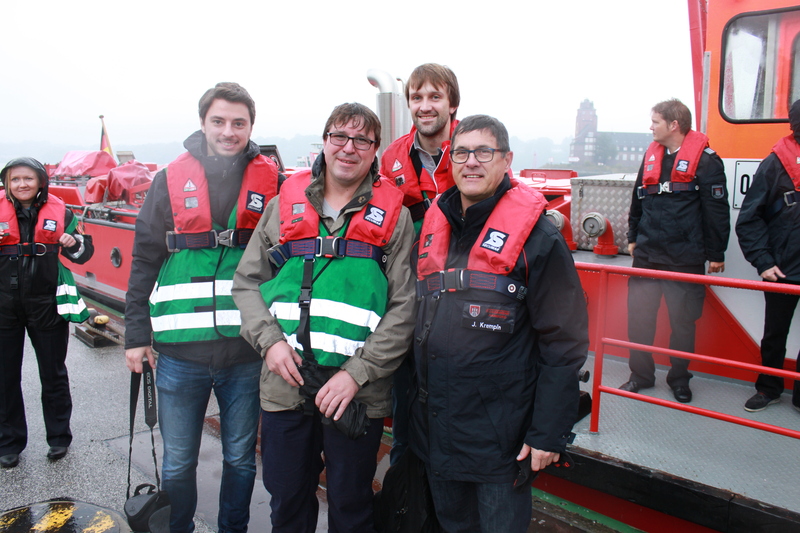 The objective was also to practice cooperation, the reporting channels and communication between the different units involved.